I do hope its not just a MF02 with a larger head, they should do more than that with this one. But i am looking forward to learn more. Not sure if the added bulk Vs performance ( MF02 ) / prize are worth it, but as i said look forward to learn more. And i have signed up in the other thread just to be sure. Pretty sure it will be the same as MF02 with a larger head. What is wrong with the MF02, great in my opinion. The larger head will give it a lot more throw. nothing wrong, i like my MF02. But just revamping the head seem too easy, but off course if there are no new wonder LED to put in it then there are little to do. A actually like the simple UI of the 02, not that my Q8 confuse me. Intetedted. Wow, botched that one. Hmmm……………I wouldn’t mind a MF02 body with a very large head with a 15cm reflector in it. “Anything to get more throw”. Interested only if the light has a warranty, many problems with the MF02. Banggood has a reputation of ignoring some customers with defective products. Just can’t take a risk of having a light that won’t turn on right out of the box. Interested. But I want to see the specs. As someone mentioned, a bigger smoother reflector would be nice. And don’t forget to drive that sucker hard. Would active cooling be too crazy of an idea? Any form of locktite do not belong on a flashlight. Any updates on this light? Are there any more pics or information out??? I haven’t seen anything else. 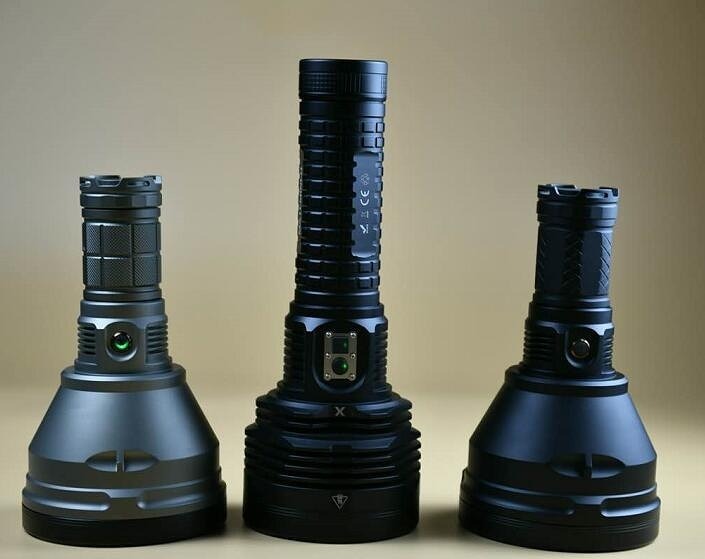 I believe they were/are going to release it after the BLF GT sales are done. Well well, looks like the body of the MF01 fits, noice. Let’s hope the rest of the light is not as massive as the BLF GT (which is overkill with the use of one XHP35 HI), so to keep the weight a bit down. BTW: I’d love to see some pics of the inside of the head, the led shelf, the thickness of it etc……..
Well, the MF02 is not really a very good thrower, is it? Its nice, I very much like the design, but it’s certainly not a top notch thrower, with around 400Kcd. 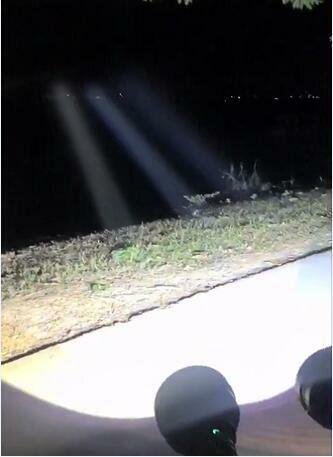 But I understand the beamshot comparison to show the difference between MF02 and MF04. (and the price is right ofcourse…) I’m in.